Chopping 243 barrel to 18"
Thread: Chopping 243 barrel to 18"
Just picked up a Marlin 243 with suppressor - still at factory 22" but plan to chop it to 18". Every rifle I have shortened has shown as good or better accuracy after the chop. You'll lose a bit of velocity but the deer wont notice. My old .243 was cut to 19", no issues, still good velocity. Thanks guys - that was my understanding. My dad has an older model 7 243 which is 18.5 inch standard. I've got 100gr handloads doing almost 2900 fps. Factory federal 100gr in comparison were doing 2600 fps. My old 243 was chopped to 18inches. Handloaded Nosler 55gr Ballistic tips to 3690 fps. Smashed roos to 450m with it. Barrel started to show some wear and tear but still shoots deer with 80gr factory ammo. All done... bought the 243 rifle at 5.30 and it was chopped to 18" for suppressor by 8.30. That's pretty flash. Greg Maniatis did a great job - also got a little JW15 chopped and suppressed at same time. Greg makes some very cool rimfire and centrefire silencers. Recommended. Just take it back and get him to cut it longer. GWH, McNotty, Huk and 1 others like this. Very nice wee unit now - actually 18.5" Marlin XS7 in 243 with a hushpower 12" suppressor which will do the job. Spot on little truck rifle for a few north Canterbury farms we shoot on. The 243 is ideal round for its versatility at times - in this case long range bunnies plus the occasional pigs and reds we see. 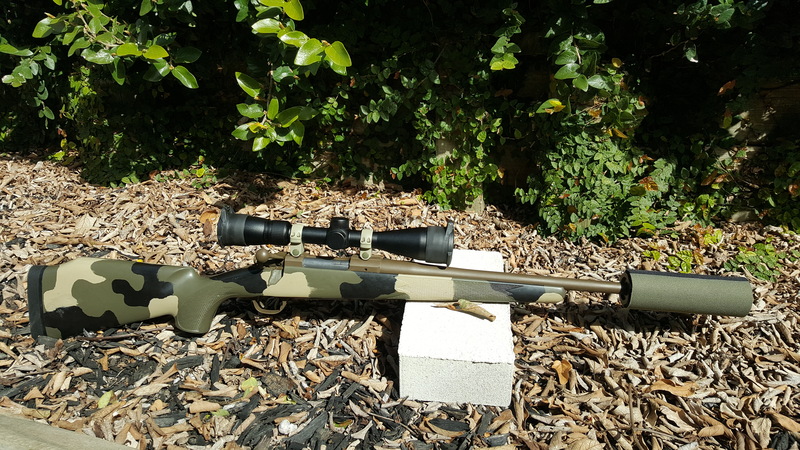 FS: CZ 455 17 HMR "Varmint barrel"
All times are GMT +13. The time now is 02:02 AM.